So it’s no surprise Dylan jumped at the chance to attend the NAWIC Block Kids Event. 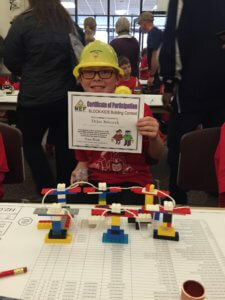 He was encouraged to build his own creation, which just happened to win first prize in this fun, free event. 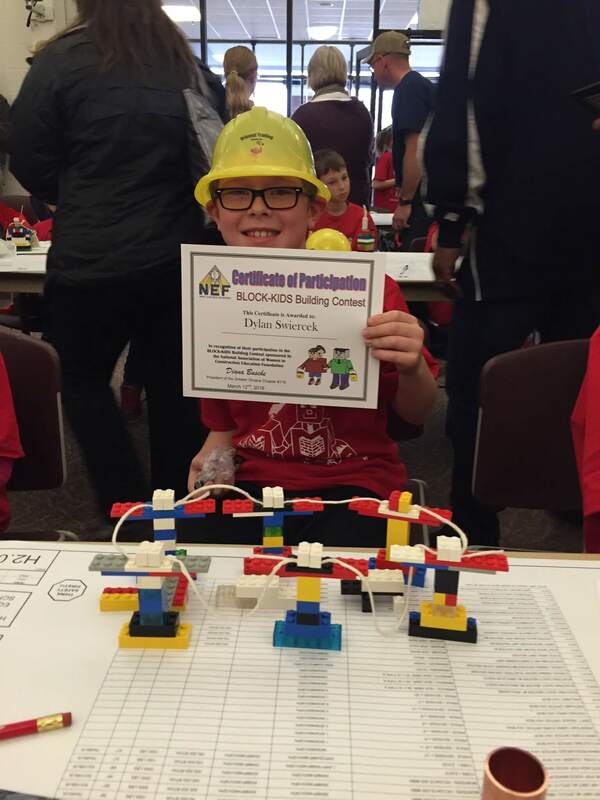 The National Association for Women in Construction (NAWIC) hosts Block Kids to encourage kids to consider construction as an eventual career. “It’s a great organization. It’s something that we need; I hope more women and kids get a feel for construction and that occupation,” Donna says. She said Dylan has a knack for both mechanical and mathematical concepts. Dylan’s original plan was to build a crane, but Donna says he worried it might not function. He instead built power poles and used string for the wires, earning him first place. Now that Dylan can boast a win, will he be back next time to defend his title? Eyman Plumbing, Heating & Air Conditioning is no stranger to NAWIC’s efforts. Also an active member is Eyman Construction Department Manager Karli Meisinger, who serves as vice president of the Greater Omaha Chapter of NAWIC. She’s been involved for several years.